Product prices and availability are accurate as of 2019-04-17 12:44:19 EDT and are subject to change. Any price and availability information displayed on http://www.amazon.com/ at the time of purchase will apply to the purchase of this product. 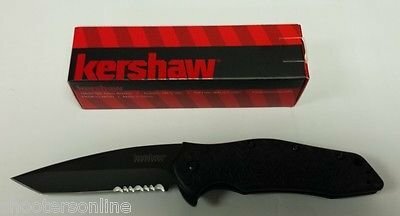 Kershaw’s Kuro everyday carry offers a sleek construction and tailored functionality. 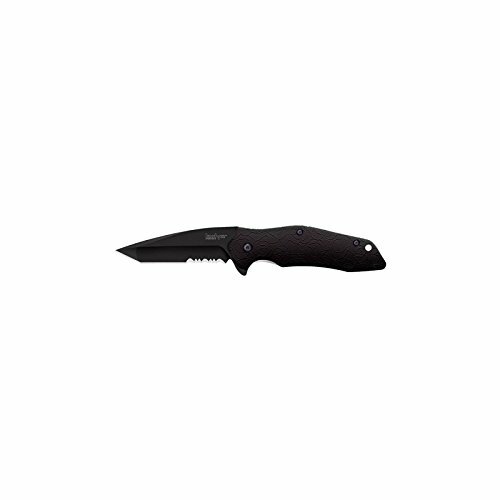 The modified tanto drop-point blade is partially serrated for a more aggressive two-step serration, cutting through tough or fibrous material with ease. The Kuro has two blade grinds: at the tip and along the edge, providing the strong piercing tip plenty of steel support and extra strength. Made of high-performance 8Cr13MoV stainless steel, the Kuro’s 3.1” blade is tough while maintaining a good edge. Finished with a stealthy black-oxide coat, the blade offers extra corrosion resistance and a non-reflective appearance. The durable black glass-filled nylon handle scales offer additional grip traction and style. 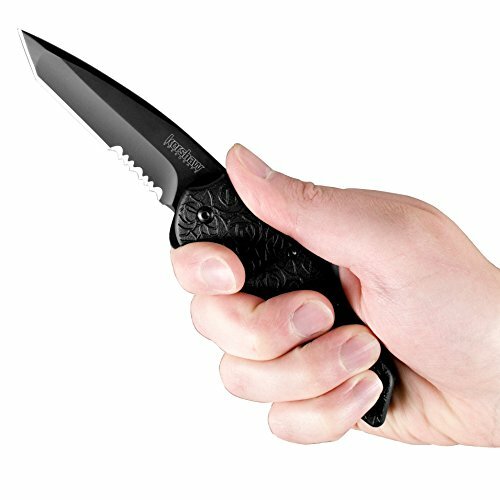 Kuro’s blade is easily opened with SpeedSafe assisted opening, enabling fast-acting use with a simple pull back on the built-in flipper. A secure locking liner safely locks the blade open and safely deactivates with one hand. The reversible pocketclip enables either a left or right-handed carry.